The Dawgs dropped their 3rd straight game after losing to the Gators Saturday afternoon. ATHENS, Ga. (AP) - KeVaughn Allen scored 13 points, Noah Locke added 10 points and Florida rallied from a brief second-half deficit to beat Georgia 62-52 on Saturday. After losing to South Carolina, No. 3 Tennessee and Mississippi State by an average less than five points, Florida (10-7, 2-3 Southeastern Conference) closed the game out by holding Georgia without a field goal for nearly nine minutes at the end of the second half. Rayshaun Hammonds, Georgia's leading scorer this season, was held without a point for the second time in the last five games. Second-leading scorer Nicolas Claxton had nine points and 12 rebounds. Jordan Harris, taking Turtle Jackson's spot in the starting lineup, had 10 points and was the only Bulldog to finish in double figures. 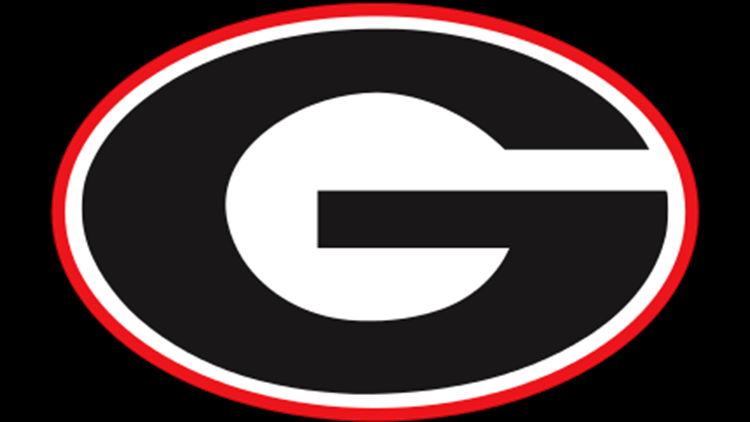 Georgia (9-8, 1-4) was outscored 28-10 in points off turnovers. The Bulldogs went 5 for 14 beyond the arc and are 9 for 41 on 3s in the last two games. Georgia, which has lost three straight and four of five, led by five on Harris' reverse layup with 9:38 left in the game, but they didn't score another field goal until 22 seconds remained. It couldn't have been a much worse first half for the Bulldogs, who trailed by 10 and never led. They were 1 for 7 on 3s with three assists, eight turnovers and seven fouls. Hammonds and Claxton were a combined 0 for 8 from the field. Georgia pulled within four midway through the first half before the Gators pushed the lead to 13 on Stone's dunk and Mike Okauru's 3 at the four-minute mark. Florida's zone defense was active with four different players blocking a shot and holding Georgia to six field goals. Florida: F Keyontae Johnson had eight points and seven rebounds in his first career start. He joined Locke and Andrew Nembhard to give the Gators three freshmen in the lineup. ... Johnson replaced G Jalen Hudson, who had three points and four fouls in 11 minutes. ... F Keith Stone hit the floor hard in the first two minutes of the second half as he fouled Harris on a Georgia fast break. After writhing in pain for a couple minutes, Stone was helped off the floor and into the locker room and didn't return. ... Allen has scored in double figures in 10 of the last 11 games. ... Locke had his eighth straight game in double figures, the most by Florida freshman since Bradley Beal had 10 straight in 2011-12. Georgia: Jackson did not start for the first time this season and finished with six points in 16 minutes. It was Harris' first career start. ... The Bulldogs announced their third sellout of the season and have four more games with no tickets remaining at the 10,523-seat Stegeman Coliseum. The school announced that Georgia coach Tom Crean's mother, Marjorie Crean, passed away this week following a long illness. She was 80. Funeral arrangements are pending, but Crean will not miss a game. Marjorie Crean is survived by a daughter, Michelle Dean, daughter-in-law Joani Crean, son-in-law Shannon Dean and grandchildren, Megan, Riley and Ainsley Crean. Florida: Host Texas A&M on Tuesday. Georgia: At LSU on Wednesday.